We did it folks. 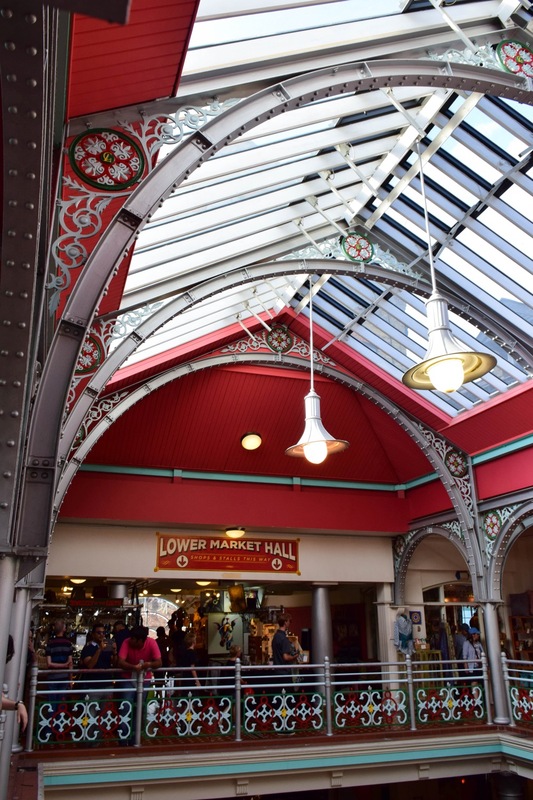 This blog post chronicles Lia and my final day in the UK. Thanks for following along. It’s been a blast to relive this trip, even though it may now be 3 months since we got back. Fear not, I have more trips to recount once I’m done with this one. But for now, to the adventures! We started our final day by wandering around some of the neighborhood we’d rented our Airbnb in. Shoreditch is very much the London equivalent to Brooklyn in NYC, and we were staying just half a ‘hood north, off the Hoxton stop. 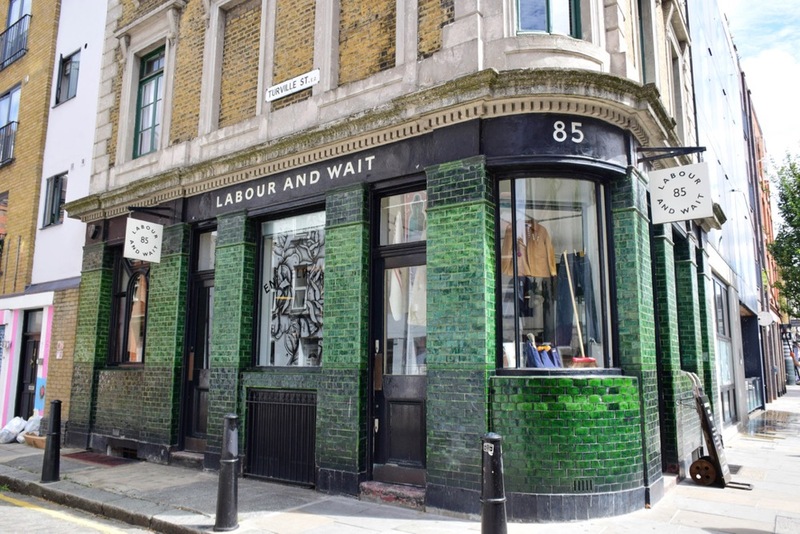 We were minutes walk from the heart of Shoreditch’s sublime shopping district though, so after some breakfast at the most economical cafe we could fine (last day of vacay poverty vibes) we set off in search of our first must hit: Labour and Wait. This home goods / kitchen goods / wooden brush for every occasion / general knick knacks store was beautifully stocked with some gorgeous goods, and I wanted one of everything. The clothing, the utensils, the stationary, everything was curated with an impeccable eye, and so very aspirational. I wanted to live the kind of life that a person who owned all these goods would. And if I’ve gotten nothing else out’ve working for an impeccably curated store in Seattle, it’s the ability to properly appreciate another when I’m in its presence. We trundled along down the road lined with awesome spots, sticking our heads in wherever looked interesting, grateful to finally have a slower paced day again. I spotted a Folk store, whose clothing we sell at Glasswing. I wasn’t very impressed when they were reluctant to let me take a few quick photos of the shop to share with people back stateside though. You’re a store, and a pretty one. Of course people are going to want to take photos. 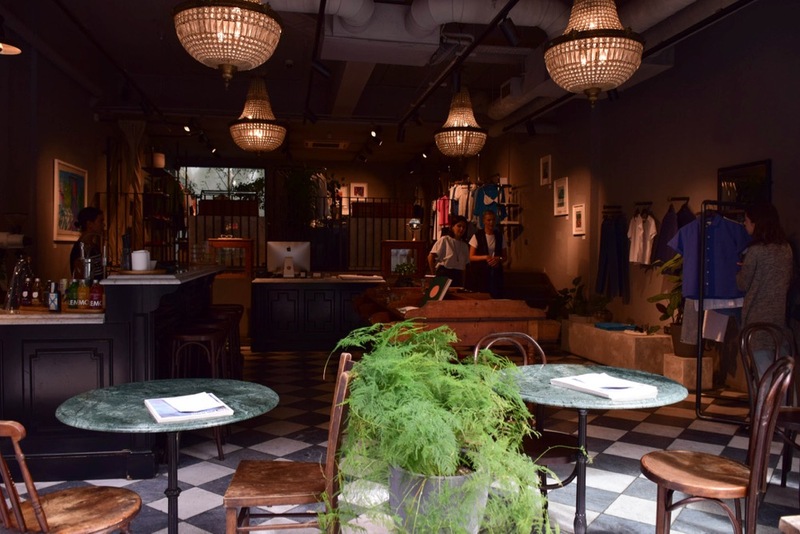 I bought a Monocle guide to Hong Kong at this lovely women’s clothing, books, and crystals shop with a coffee bar in front. 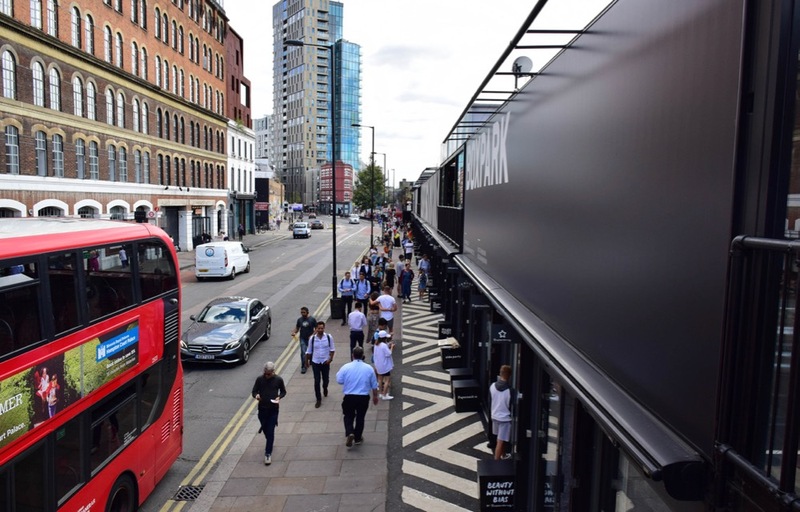 I took Lia to Boxpark, the original upcycled container ship mall, and one of the OG Shoreditch hipster spots from back in the neighborhood’s most rapid gentrification days. I’d been a few years previously, but much like a lot of London, everything felt smaller to me. More manageable. Maybe I’m just bigger. Or maybe it was the relaxed schedule. 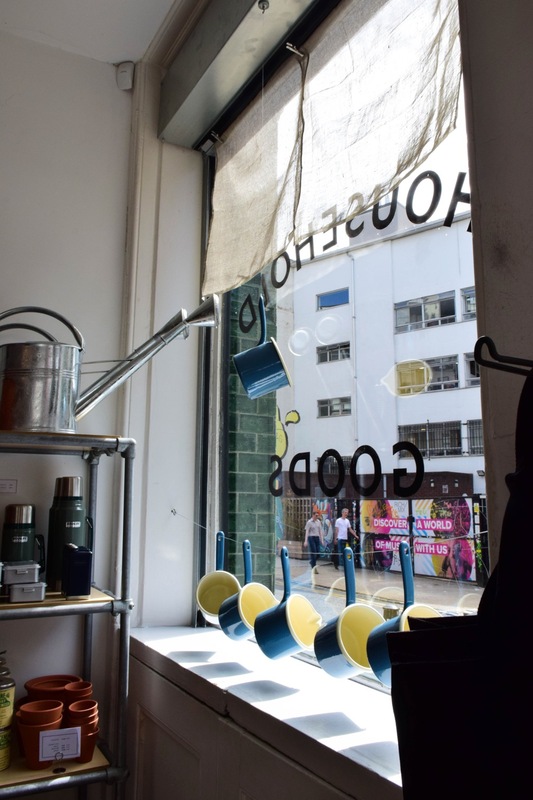 Never one to waste space for a shop, people have crammed retail environments and even hair studios into what looked like they were allotment garden sheds in previous lives. 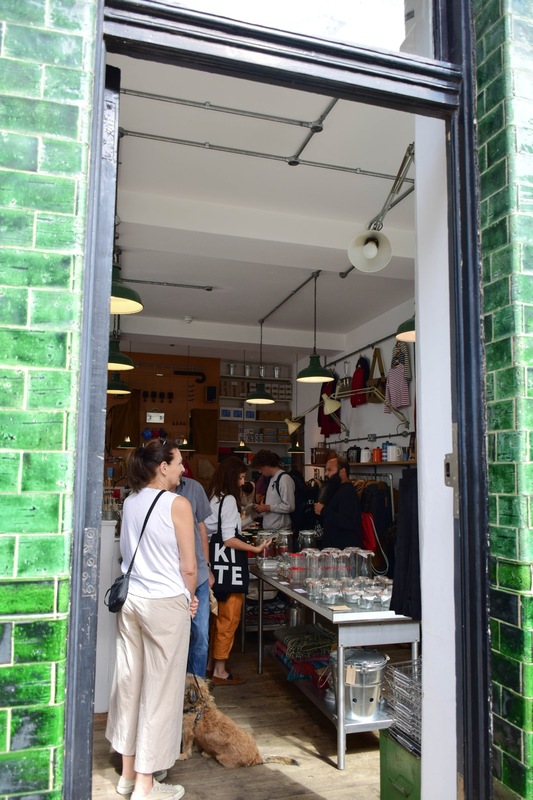 A bit later that day, we went to Camden Market to enjoy a very different retail experience. A more classic one though, no doubt, and still with plenty of good food options. It was very hot to be wandering around an incredibly busy and crowded place, but we were killing time until a Sofar Sounds show in the area we’d bought tickets to see in the evening. So it was as good a place to be as any. And some brilliantly impassioned and quaint amateur cricketers playing on the fields. I used to love playing cricket for how chilled out it was, and would’ve gladly wasted a few hours sat on the grass in the sunshine watching them play. 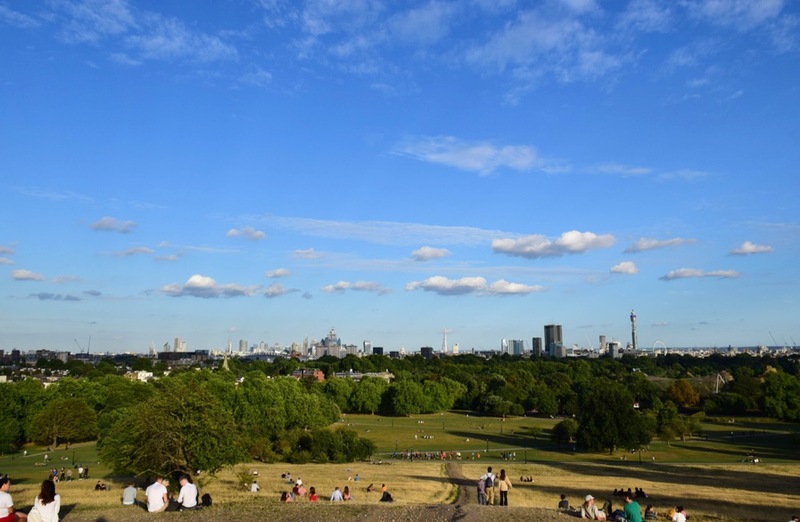 Chased to the top of Primrose Hill by a group of bootcamp exercise classes, we paused to admire the view, before concluding that London’s skyline wasn’t great for a city of its global stature. Too big, too sprawly, and not enough need to go upwards. We found our Sofar show with only minimal difficulty, and snagged ourselves an armchair. The three acts were great, Pillars, The Future West, and Vertaal, but I only got photos of the former two because the third dimmed the light for the ~*~atmosphere~* and my camera stood no chance. We made it back to the Airbnb to prepare for a very early morning flight, quietly pleased with ourselves for packing in so much and crafting such a wonderfully fulfilling trip for ourselves. My shoes didn’t fare quite so well by the end of things though. I had a 10 hour flight back to Seattle to plan their viking burial. They’d earned it. Nov 7 Only one month until we leave Seattle, and that's spooky. Here's some music.